During BlizzCon 2018, Dan O’Halloran and I had the opportunity to sit down and talk Warcraft 3: Reforged with Systems Game Designer Michael “Skip” Scipione and Production Director Tim Morten. Our discussions covered a wide range of topics, from using Reforged as a way to tell new stories all the way to updating certain art aspects to be more in line with the zones we’re familiar with in World of Warcraft. If you have any interest in Reforged, read on for our interview summary! 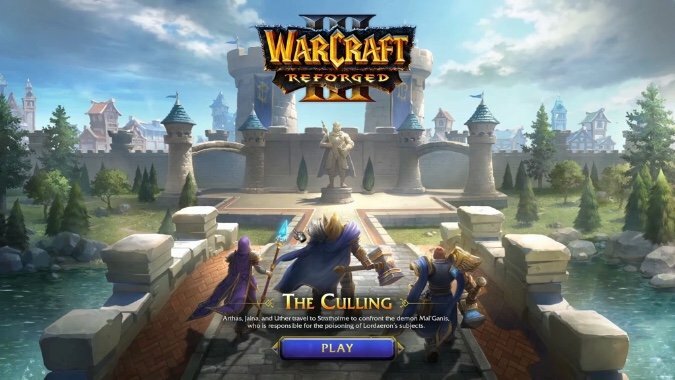 Is there any chance we see new content or stories out of Reforged that take place between that game and World of Warcraft, similar to how Diablo Immortal is telling new stories between Diablo 2 and Diablo 3? Currently, they’re so focused on getting the base remaster done that they haven’t crossed those bridges yet. They’re doing some work to ensure consistency between WoW and where WC3 was. They’re a long way away from even considering telling new stories. Did StarCraft: Remastered affect any production on their end? They definitely learned things from StarCraft: Remastered. Mostly, these were technical things like anti-cheat software and matchmaking changes. But the biggest takeaway was the importance and value of having a dialog with the community to understand what’s important to them. Are you guys recreating the missions exactly, or are you expanding and iterating on them? 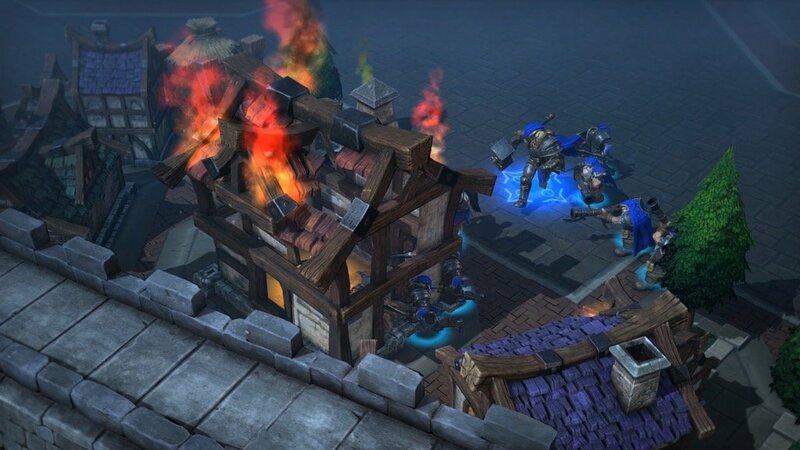 They’re staying true to the original story and the individual mission flow, but the Culling of Stratholme and similar missions are getting updates based on what’s happened in World of Warcraft since Warcraft 3 ended. Art style and the layout of Stratholme evolved in WoW. They’re bringing some of these aspects into Reforged. 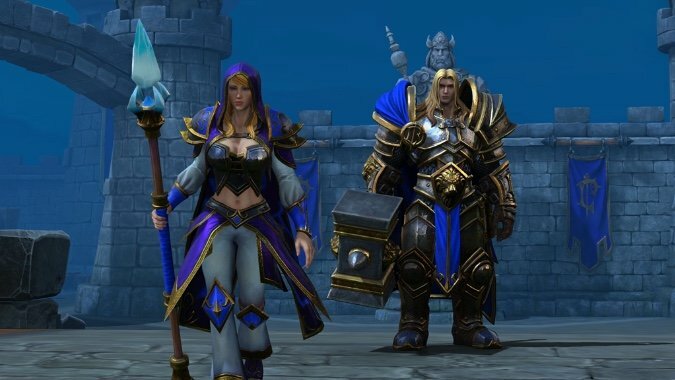 So it’s more like WoW’s Stratholme than the Stratholme from the original Warcraft 3? “Don’t break the game” is their motto — and that also means they can’t break people’s memories. Any plans to update the systems or the hotkeys or any of the way you control units to be more like StarCraft 2? Playing the demo, I tried something I’m used to in StarCraft 2 only to see it work differently in Reforged, and it threw me off. For now, step 1 is to get the foundation to the point where they’re happy. Step 2 is to look at refinement. In terms of multiplayer, they’ve already gone through and added some adjustments to the classic Warcraft 3 game. Improvements are happening along the way, but how far those improvements go and the specifics behind them are very much works in progress. What would you say was the biggest design challenge redoing the game? Balance — finding the line of making improvements without breaking the game. They want fans and people who have been playing all this time to go, “Yes, this is the game I remember playing!” But they also want to be cognizant of where the line is. They approach this by communicating with the community — this is especially true of communication with esports players and multiplayer balance adjustments. They feel that finding that particular line — as well as the pressure points — by communicating with players is key in making the best experience possible. Are you referring primarily to multiplayer balance? Or single player? As far as balance, the single-player campaign is based off of Frozen Throne’s balance — which is to say, small adjustments here and there that might differ very slightly from the base Warcraft 3 experience. Most of what they’re talking about is competitive balance, however. They can make some changes to single-player — for example, Meathook never showed up in the original, but he does now — as those changes make sense within the mission. Meathook doesn’t change anything drastically, but he’s both a subtle way to bring parity between Reforged and WoW and a way to add a small speed bump that doesn’t break the mission. Any other examples where similar changes have been made? For now, they’re still going through other missions and looking at the art and how they can update that. For example, the statue of Arthas’ father used to be Generic Orange Soldier Man — they wanted to make sure to update that before doing things like adding an NPC to Stratholme. Art is their first priority here. Now that it’s its own franchise, will there be any legal issues with “DOTA” being a mod name? Unfortunately, this is a question for the legal department and neither of them was entirely sure. What was your favorite online custom mode from back in the day? For Skip? Tower Defenses. There was one where you could be werewolves or humans, but one of the humans was secretly the wolf and messed with you at night. Those were both a ton of fun! Speaking of custom games, they took this time to mention that there’s a whole separate section of work they have to do to support custom. A new rendering engine opens up opportunities for new customization — i.e., they want to provide refreshed toolkit/examples/instructions for custom maps. They are actively working on new tool sets and trying to find the best way to support creators. What was the biggest production-design challenge? Because the art dated back to Blizz’s first 3D game, the way things were built back then were way different. Everything was just very different from how things are today. That meant they needed to develop a completely new toolkit along the way — and entirely new rendering engine. Now that the foundation’s there, that opens up a lot of possibilities moving forward. 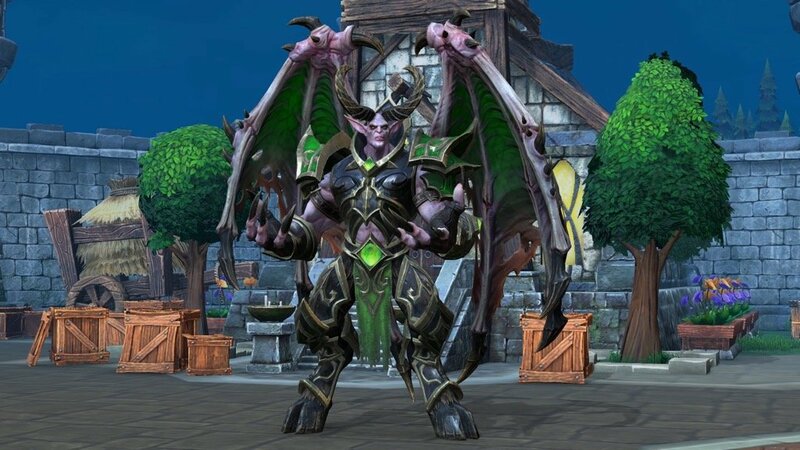 Speaking of the render engine, what made you guys decide on building a new one vs. using something like the Heroes of the Storm engine? There’s always a point where they’re looking and wondering if it’s better to use the original engine and update or use one of the ones that’s popped up at Blizzard since WC3 ended. They put a lot of value into the motto “Don’t break the game,” and they want to avoid breaking the things that people loved. In this case, they felt more confident they could avoid those issues by using the original engine. That said, this sort of decision is always on a project-by-project basis. A big factor here was maintaining compatibility with custom maps. A new engine likely would have broken custom maps in ways there weren’t immediately predictable. This gives the best chance to support broad base of custom maps. Do you foresee all or a majority of the WC3 esports players to shift? Or will there be a large contingent that stays behind? What they saw with SC: Remastered is that over time, the Brood War community has largely migrated over. They suspect the same trend will be true here, but they’re continuing to support both games. They’re also maintaining parity between the two, so if you don’t have the Reforged edition, you can still play with a WC3 player. This is part of the value in using this render engine. Thank you very much for the Normal Mode and the Hard Mode — is that remaining in the game, and will there be other difficulties in the campaign? This is something that’s having ongoing talks. There’s a big difference between StarCraft 2‘s difficulty levels and Warcraft 3‘s. It’s something they’re still actively discussing. Was Culling of Stratholme a priority to show off because of how iconic it is? Was it just done first? Were there other contenders for what to show off? Lore significance was a big factor here. Others were considered, but this is one of the missions everyone remembers, and it’s a great way to show off what WC3: Reforged means. Favorite mission — ignoring Culling — if you can remember? Skip’s favorite was the sequence where you’re doing undead Frozen Throne campaign where you de-level as you go through Azjol-Nerub. It’s a multi-mission approach, with A, B, and C maps, etc. It was both challenging and unique in its approach to mission design. It’s been a long time since Tim has played through from start to finish — he can’t decide on a favorite mission. Request: Can we keep the quest tracker/objectives on screen, like they are in WoW? UI updates are still something they’re looking at right now. These sorts of things are easier to do in single-player, too, because they don’t create any disconnect between players. Any fun facts about the game? Tim’s biggest high-level thing is that, even though Warcraft 3 has existed before, Reforged is being rebuilt from the ground up. In many ways, it’s like a brand new game. They’re all very excited to see people who’ve never experienced it get the opportunity to play it. Skip pointed out — no pun intended — that characters actually point! It’s not just a fist. We all had a good laugh here. Unfortunately, that was all the time we had to interview. Thanks again to both Michael “Skip Scipione and Tim Morten for taking the time to sit down with us!